A few months ago, I was pleasantly introduced to Scentbird, a new perfume subscription service. For just $14.95 a month you receive a generously sized, 30 day supply, 0.27 OZ / 8 ML vial of a designer fragrance of your choice. With over 350 fragrances to pick from-we are talking popular brand names here, you are bound to find a favorite one to try each month. How cool is that? When first signing up, there is a short quiz that helps find the best perfume match for you by analyzing your preferences. There is a monthly queue where you can add your personal perfume recommendations, or any other of the fragrances offered, of your own choosing. 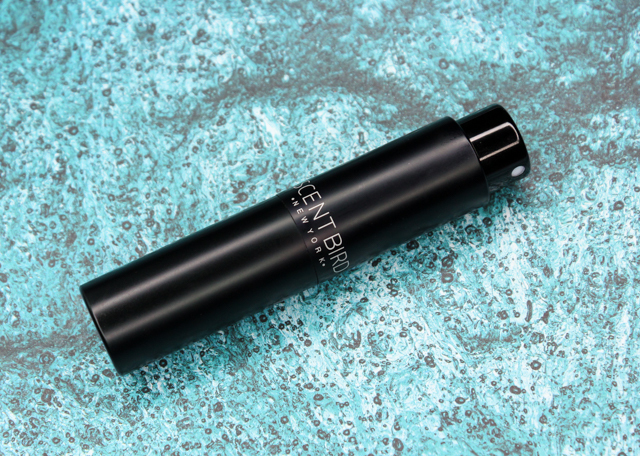 The first shipment contains a sleek reusable case, along with the vial that contains the fragrance chosen. Included is also a felt drawstring pouch, to securely store the case in. So perfect for when traveling and on the go. Each month's shipment from then on will contain a vial with you perfume pick. Using the purse spray is quite simple. Just twist to spray, and twist to close. To replace the vial with a new one, just pull up the old vial to remove it, drop in the new vial, then twist. My perfume pick was Escada's Born in Paradise. 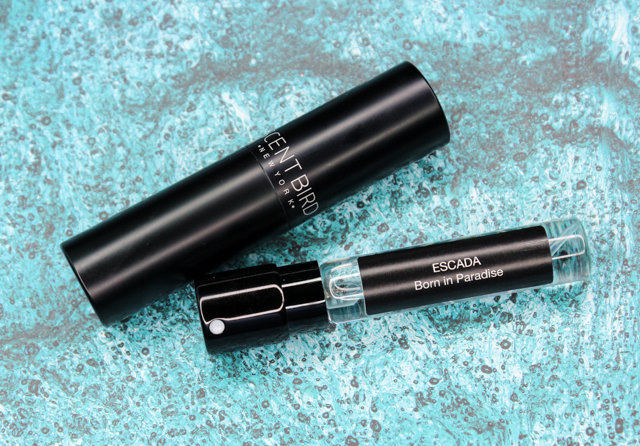 I am a huge fan of Escada fragrances and Born in Paradise has been on my wishlist for quite some time, so thanks to Scentbird, I finally had the opportunity to give it a try. Born in Paradise is right up my alley with it's fruity notes of pineapple, watermelon, guava, and coconut. It's a very fresh and crisp fragrance, and it makes for a nice everyday scent that's perfect to sport during the warm summer months. Love it! 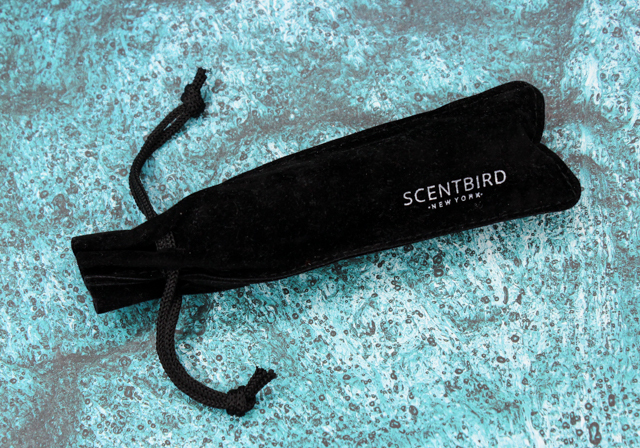 Scentbird is a really neat, top-notch subscription service that I think many will enjoy. It's a fun and affordable way to try out a variety of fragrances without committing to the full size bottles. Plus, you can discover new fragrance favorites along the way, which is always nice. 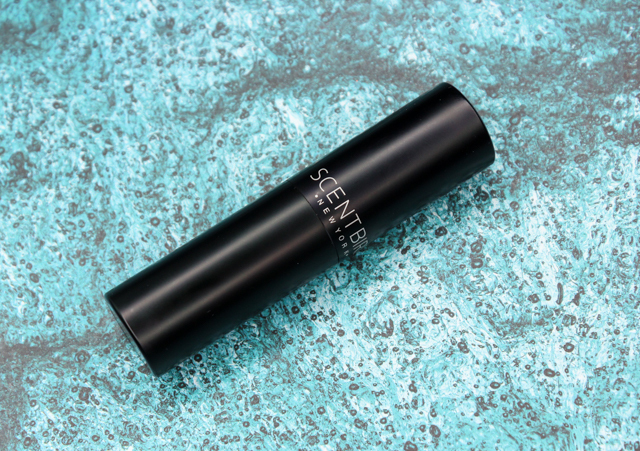 What do you all think of Scentbird? Interested in a fragrance subscription service? This post has been sponsored by Scentbird. Press Sample received for review consideration. For more information, please visit my disclosure page.